In contrast to the original variant, which weighs 83 kg, the two new, less-powerful variants weigh 54.5 and 48 kg respectively. Nidec now addresses the segments A, B and C as well as all-wheel-drive cars in the D segment. 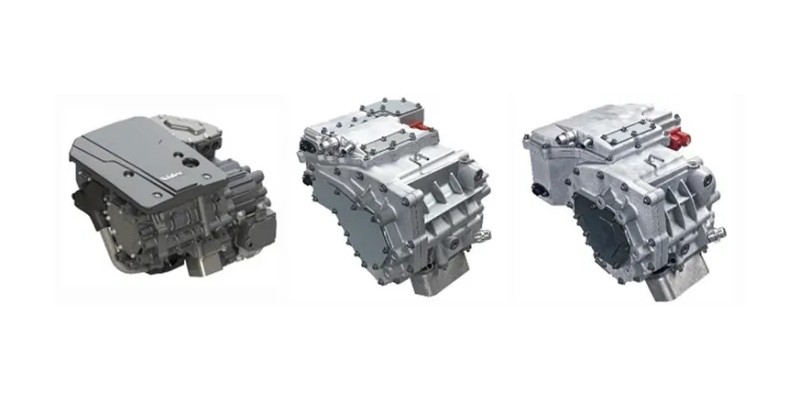 “These three models cover 90 to 95 per cent of the passenger car market,” says Dr Kazuya Hayafune, Chief Engineer of the company’s Automotive Division. The Chinese manufacturer GAC was the first OEM to order the fully integrated E axle with 150 kW on a large scale. Reportedly, GAC will install it for its debut electric car Aion S, due to launch on the Chinese market in May. In February, Nidec announced plans to double the company’s production capacity in China. Against this background, the Japanese electric motor manufacturer will invest 20 to 30 billion yen (160 to 240 million euros) in the construction of a second production facility for traction motors in addition to a factory under construction in Zhejiang Province. The first factory is scheduled to go into operation in May, the second in 2020. The Japanese business paper Nikkei already announced in February that Nidec intends to manufacture engines in the second factory that are about 30 per cent smaller than those from the first site. In the future, Nidec also wants to win European market participants as customers. Nidec recently announced that OEMs from all over the world have already made enquiries. According to media reports, the company is also considering building a factory in Poland. Nidec is also trying to gain a foothold in Europe in other ways: One and a half years ago, the Japanese company and the PSA Group announced the establishment of a 220 million euro joint venture for traction motors. The joint venture, based near Paris, will develop, produce and sell electric motors for the PSA brands Peugeot, Citroën, DS, Opel and Vauxhall.